Renovating a property is often a long and difficult task that agents should only recommend for certain clients and for a short list of properties. That’s because not everyone is suited to living in a reno zone. 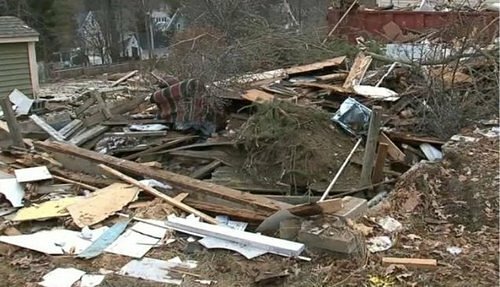 Like the man in Middletown, N.Y., who demolished his wife’s house while she was out. "We were not fighting, we were not arguing," Diane Andryshak, who was the legal owner of the property, told WABC. Andryshak and James Rhein, who had been married for nine years, were in the midst of a renovation nightmare when Rhein decided enough was enough. He rented a bulldozer and proceeded to demolish the property – with all of Andryshak’s possessions still inside. Rhein said he wanted to get a permit but was unable to do so as it was Martin Luther King Day. He also said he tried to call his wife, but she didn’t answer the phone. He has since been released from jail on $300 bail. Regardless, Andryshak has already forgiven her husband; maybe she’s relieved the reno is finally over?